We have viewed this as a London base for when we are visiting friends and family in London and would probably use our flat one week in a month. It appears that many residents do this too as we didn’t see many people when we have visited but we were told it is a lot busier in the summer. The Vista Chelsea Wharf flats are lovely and well laid out, the one we looked at overlooks the interior courtyard which does means it only gets sun for certain times of the day, but we couldn’t justify the price for the better views. The marketplace shop will be useful as any other convenience store feels like a bit of a walk, though more facilities are opening up with Battersea Power Station. 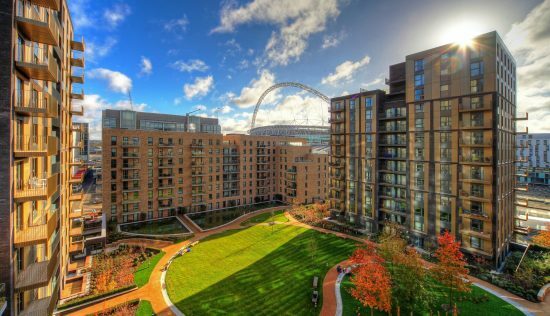 Vista Chelsea Wharf is a perfect base – and hence why lots of people use it for airbnb or as a second home. We were disappointed not to have more neighbours here but as the development often stands fairly empty due to the number of foreign investors who only use their apartment a few times a year – it is quiet. Battersea Power Station is bringing with it more services and we have started to wander along there to use the restaurants and store that has opened up as it sells some more exciting things than the central store on site (which is still very handy). That a lot of the flats are owned by foreign investors who don’t let it out but just use sparingly. For some this is a benefit as the place is quiet but we would sometimes like there to be a bit more going on. We moved here for the location and proximity to the park. Having moved in from the country (where we were bored) green space was important to us as well as an apartment we could personalise. 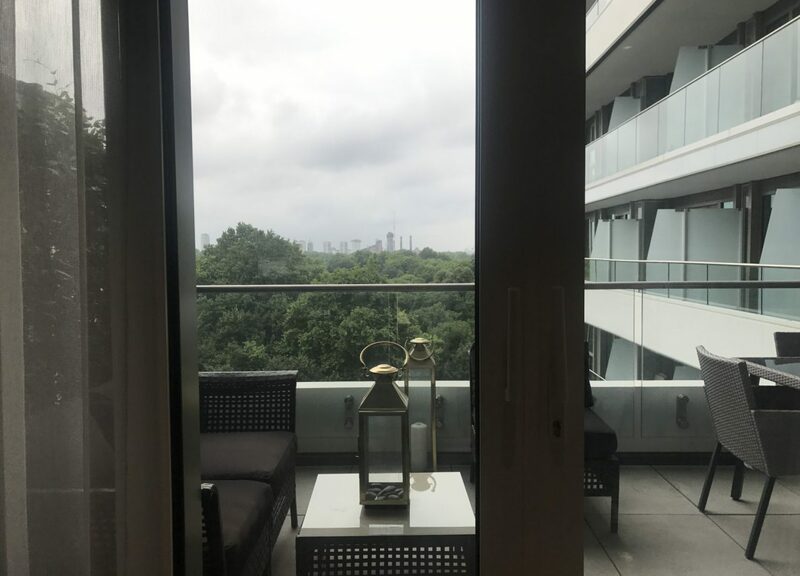 Vista provides both of these – with views of the park you can often forget how central you are to London and the flat was modern and blank inside but gave me the ability to change and make it more personal to my taste. People have commented that they thought the commuting would be difficult but have clearly never taken a bus. Getting the bus over the bridge and up to Sloane Square really does take minutes but as I no longer need to worry about a commute in the morning I personally like the excuse to stretch my legs. It is quiet but there is so much on your doorstep and the perfect location to get out and explore. The charge for a parking space in ridiculous but there are streets nearby with free weekend parking which is useful for guests and it would be helpful if this type of information was available upon arrival. Vista is technically the new bit being added to Chelsea Wharf but it is all part of Berkeley group. From viewing it is very quiet and I love the fact that there are facilities on site, a small shop but also bars and restaurants along the river. With the newer flats being built I worry there will be more footfall traffic cutting through the middle of the development. I was told by the guy in the shop that there are lots of overseas investors who don’t tend to spend much time here and keep their flat empty for most of the year but that suites me as it doesn’t crowd the facilities – more space for me! It is great having the park opposite, the river and river walks and then being able to cross the bridge to more social bars and restaurants. I have an amazing 10km run mapped out running along the river, crossing the bridge and circling back through the park which is another reason for living here. This is a great rental investment. I have let it long let and also for short airbnb rentals. 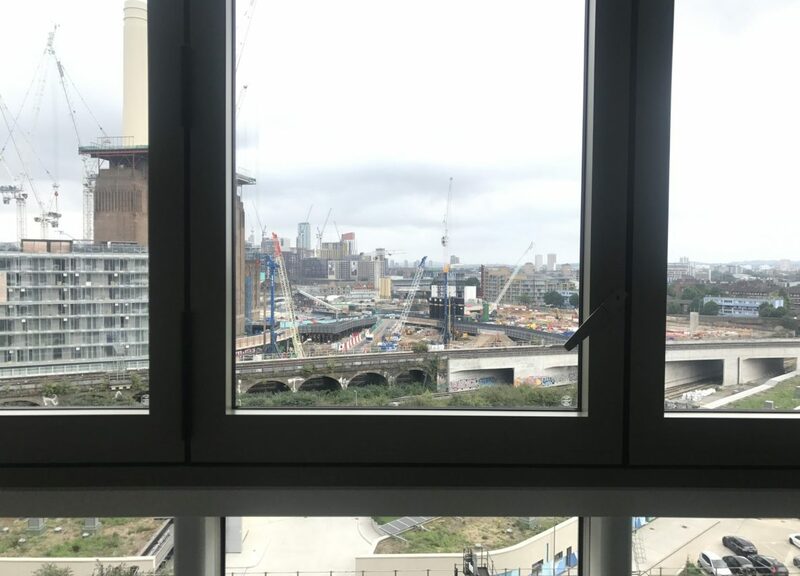 The flat has a simple layout with a balcony looking out towards the park and a view at the back towards the re-development of Battersea Power Station. Tourists renting for short lets love that it is modern but has views of iconic parts of London as well as being a short walk to Chelsea and the shops and bars. I never have a problem letting it out and get a great return. You are not strictly meant to do airbnb so you cant give people access to the gym/sauna/pool without someone on site to do it. I’m in two minds about this development. I’m looking to relocate to London in order to minimise my commuting time and viewed Vista as one of my options. The location, although leafy and beautiful, lacks nearby public transport options and I question the ease with which I could get to and fro if I lived there. Yes, Sloane square and Victoria are in˜walking distance’, but adding approx. 25 minutes of walking to my commute is practically the same as living in Surrey. This is exacerbated by the £45,000 that you’d have to spend on a parking sport, should one wish to drive. That being said, the proposed Northern Line extension of the Underground (Nine Elms and Battersea) will do wonders for Vista’s connectivity (if you can wait until 2020). The development does have a number of attractive amenities. For example, the gym is a decent size and open early until late, meaning that I can fit my workouts around my schedule and the concierge desk is manned 24 hours a day, meaning that they are available to assist me whenever I require it. Perhaps this is why the quoted service charge is quite high at £4.58 per sq.ft, especially as you have to take your rubbish down to the bins yourself (no chute/collection service). Furthermore, there is also an option to work with a decorator connected to this development to furnish the flat ideal for the less artistic among us. The spacious balcony and winter gardens were ideal for entertaining all year round too. Sitting in a prime spot overlooking the tranquillity of Battersea Park as well as the much hyped Battersea Power Station are the distinctive sloping pods of the Vista development. 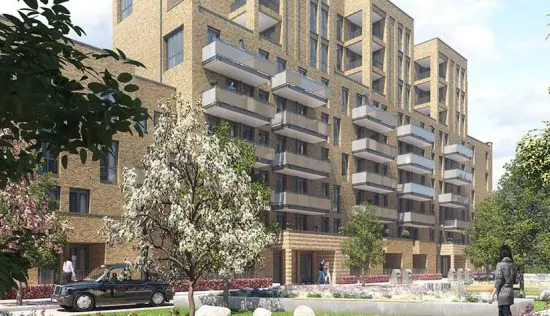 This collection of 384 private one, two, three and four bedroom apartments and penthouses was developed by the Berkeley Group and designed by Scott Brownrigg, and you can expect to pay around GBP895,000 for a one bed up to around GBP1.6million for a three bed. This equates to around GBP1,462 per square foot, which is below the average for SW8 of GBP1,608. 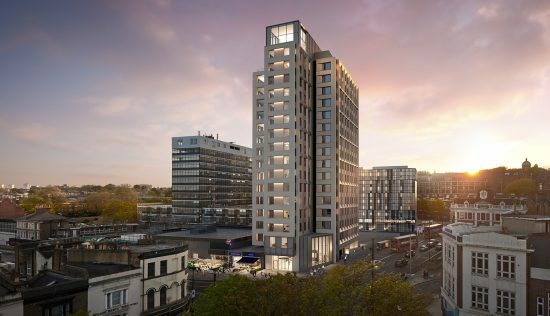 Compared to the neighbouring Nine Elms developments, and considering the location on the edge of Battersea Park right next to Chelsea Bridge, this is a reasonable price to pay for the area. Whats more, the building achieved a level 4 rating in the Code for Sustainable Homes the governments national standard for the design and construction of new homes (level 6 being exemplary). 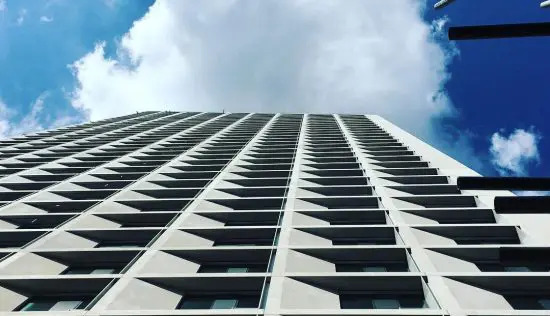 This is based on a range of sustainable criteria, including energy, water efficiency and materials, and the fact that it scored well will appeal to those looking for green credentials in a building. Being minutes away from the Kings Road as well as being right by the vibrant Nine Elms regeneration district, will be a major draw for Vista buyers who place a high value on location. Theres a wealth of restaurants, bars and pubs in the area not to mention tons of culture to explore on evenings and weekends. Families will also love the vast expanse of green space in the form of Battersea Park right on their doorstep. Currently Battersea Park and Queenstown Road train stations are just a few minutes away, while Sloane Square, Victoria, Vauxhall and Waterloo stations can be easily reached by bus, the Northern line extension to Nine Elms and Battersea will be a game changer for the previously cut off area in terms of Tube lines. Journey times across the capital will be dramatically reduced. For those who prefer travelling above ground, however, can opt to catch the Thames Clipper River Bus from Cadogan Pier. Within the development itself, residents can enjoy a fully equipped gym, vitality pool and sauna, along with a 24 hour concierge to make sure all your day to day needs are met. There are also two gardens one a sunken courtyard, the other a landscaped courtyard at street level and secure underground parking (with electric car charge points available) at a cost of GBP60,000. The exterior of the Vista building looks a little dated next to the sleek glass expanses of its Nine Elms neighbours, and lacks the historical component of the adjacent Battersea Power Station. 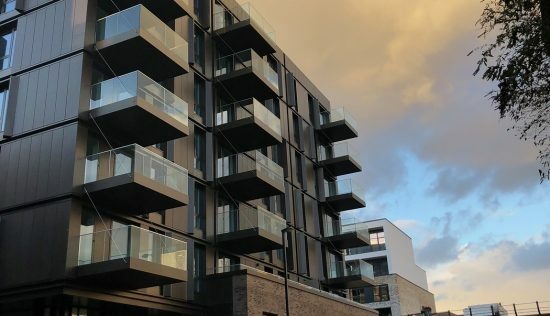 But what the cascading architecture does provide, however, is an abundance of light and space within the apartments, and feature terraces that offer residents enviable outdoor space overlooking the Thames. Interiors are a stark blank canvas, with engineered timber flooring, carpets in the bedrooms, engineered veneer entrance and internal doors, underfloor heating and comfort cooling. 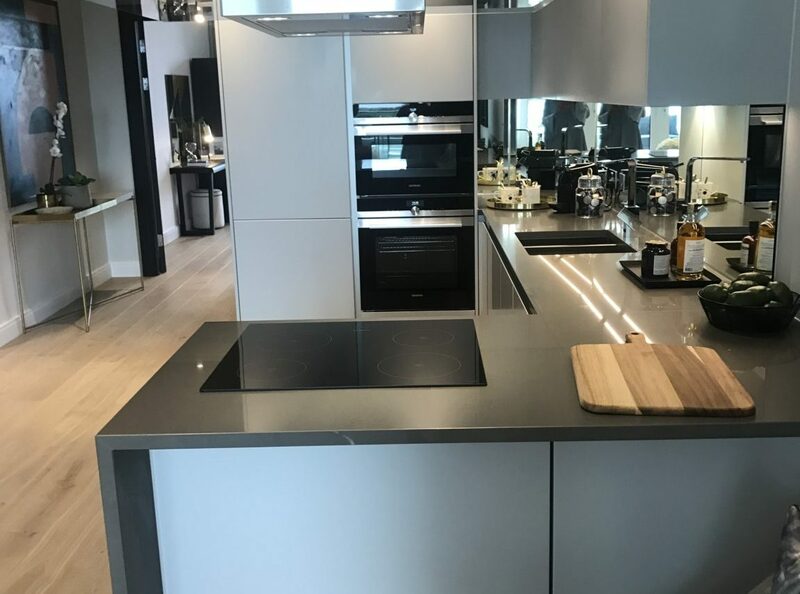 In the kitchens youll find composite stone work surfaces with mirror splashbacks, satin finish handleless cabinets and integrated Siemens appliances. Bathrooms include large porcelain floor and wall tiles, double ended white steel baths, polished chrome mixer taps, and bespoke mirrored cabinets with handy shelving and sockets. Other developments in the area with more design conscious exteriors include neighbouring Battersea Power Station and Embassy Gardens with its wow factor Sky Pool. Vista is an extremely well thought through development from Berkeley Homes in an exciting and dynamic location. 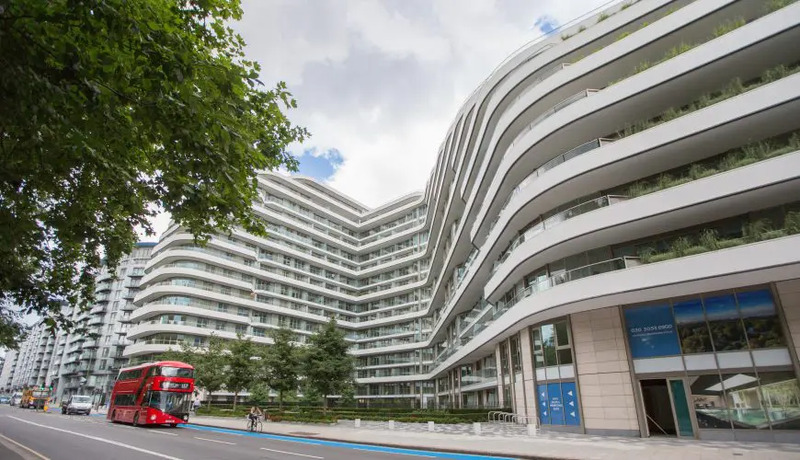 The architecture is innovative and striking and incorporates private and public landscaped areas, where residents can benefit from panoramic views over Battersea Park. However, the green views of the front windows are depressed by the Power Station construction site that many of the bedrooms look onto which are set to continue well into 2020. The back rooms of Vista are however rescued from the noise of the site by the winter gardens which help to diffuse the noise pollution. These gardens, as well as the front terraces, are immaculately designed with paved finishes and external lighting. Among the amenities offered in the development is a slick and well sized gym with a large array of equipment, a studio and an in house trainer that can be booked through the concierge. There is also a pool below the gym which, although small, has a counter flow system to swim against and a decent sized sauna to relax in afterward! Although the GBP4.58 per sq.ft may seem pricey compared to other developments, you certainly get a lot for your money! All of the flats at Vista are designed to the highest specification with veneer entrance and internal doors and timber floored hallways, with flooring options available (E.g. carpets) in the flats set to be completed August 2018. All interior fittings (laundry, oven, microwave etc.) have a two year guarantee and the concierge can also arrange maintenance as required on the flat. Vista was surprisingly suited to the needs of our growing family. Having Battersea Park across the road makes it an ideal location for our little family, especially as there are sports clubs for children running every weekend in the park; although crossing Queenstown Rd is easier said than done! There are also two sunken garden areas within the development that are well maintained and nice to look onto if you’re on the lower floors. Annoyingly, you have to climb up a few stairs (around 5) to access the buildings from street level, making it difficult to get in with a pram and small child. However, there is a direct lift into Block L flats from the underground parking spaces (around GBP45,000) which is a relief as there is no on street parking in the immediate area. Vista is also in an enviable catchment area for primary/prep schools with 4 diverse institutions within 0.75 miles. As well as this, Vista is also kitted out with extensive security measures such as a video entry system that can be viewed by apartments and 24hr concierge service and monitored CCTV, making the safe area even more secure. One drawback of the location is that the only food store within walking distance is a small Tesco Metro and Little Waitrose, with the nearest full size store (Waitrose) located a mile away and with limited parking space. however, Im certain that upon the completion of Battersea Power Station residents will benefit from an abundance of high street and grocery choice a few steps away.